Sorry if you’ve got “The Final Countdown” playing in your head…if it wasn’t before, but is now, sorry for that too. The semester has been a long hard fight and now it all comes down to these last few weeks – designed to push you to your academic limit. Passing our foreign language exam may not be the same as sparring with a chiseled Russian boxer but we can still take a few pointers from Rocky when it comes to getting through our finals. Winning doesn’t and shouldn’t mean the same thing to everyone. In the first Rocky movie, the goal is for Rocky to “go the distance” – meaning that he goes all 15 rounds with Apollo Creed. Getting an A+ on your final may be one way to determine if you’ve won, but it doesn’t have to be. Grades are only one way to assess how much you’ve learned over the semester. Find out what it means for you to consider the class a success and strive to meet your personal goal. Rocky was a “southpaw” boxer which meant that he preferred his left-hand instead of his right (not that being a lefty is a weakness). In Rocky II, Mickey focuses on training Rocky’s right so that it throws off his opponent. If you have a hard time memorizing terms, recognize that and change your training to meet the challenge. You may not naturally pick it up as easily, but once you do it will really pay off. When Rocky tries to find things to do besides fighting, it doesn’t work. In addition to working on those things that we think are weaknesses, we can also work to highlight our strengths. If you can churn out awesome essays in no time, then making sure you have great essay responses can give you a leg up when you have to face a harder section like multiple choice (or multiple guess for me). 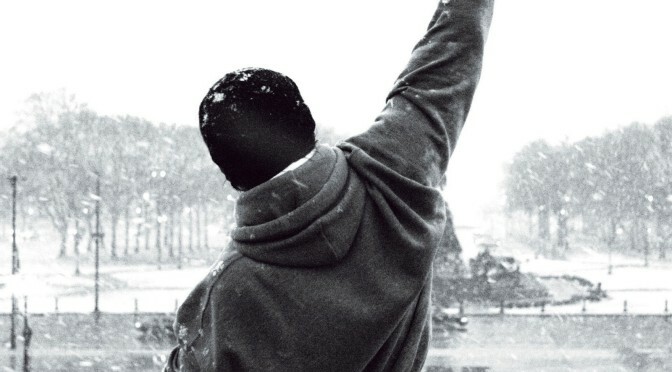 We all need people to give us a kick in the pants every once in a while and Rocky always did his best training when he had someone to help motivate him. Some of us may be able to sit in the library alone and pound out hours of intense studying. But, going it alone also means that you may be missing out on valuable insight that can come from a little help. Spending some time working with a study group can give you the opportunity to see the material from a number of perspectives and perhaps find something that you may have missed in your own notes. Even though the Rocky movies seem to focus on the fights, they were actually only a small part of what made those movies so great. Rocky had to deal with a number of issues outside of the ring so that he could perform at his best. In the days leading up to finals, remember that there’s more to life and your semester than this one test. Prepare for it like crazy, but don’t forget to take a little time to remember all the people and things that make life really worth living. In case you want a little musical motivation, feel free to run up and down the stairs of your library to this. Good luck – you’ve got everyone here at PERRLA rooting for you! Thanks to Ricardo and Steam Boat Friday for the inspiration and picture.